Episode 7 has Amber and TaKiyah chatting with culture conscious and woke Marjuan Canady; developer of the stage play, "Girls, Girls, Girls" and the creator of "Callaloo" a children's culture literacy and social awareness brand. 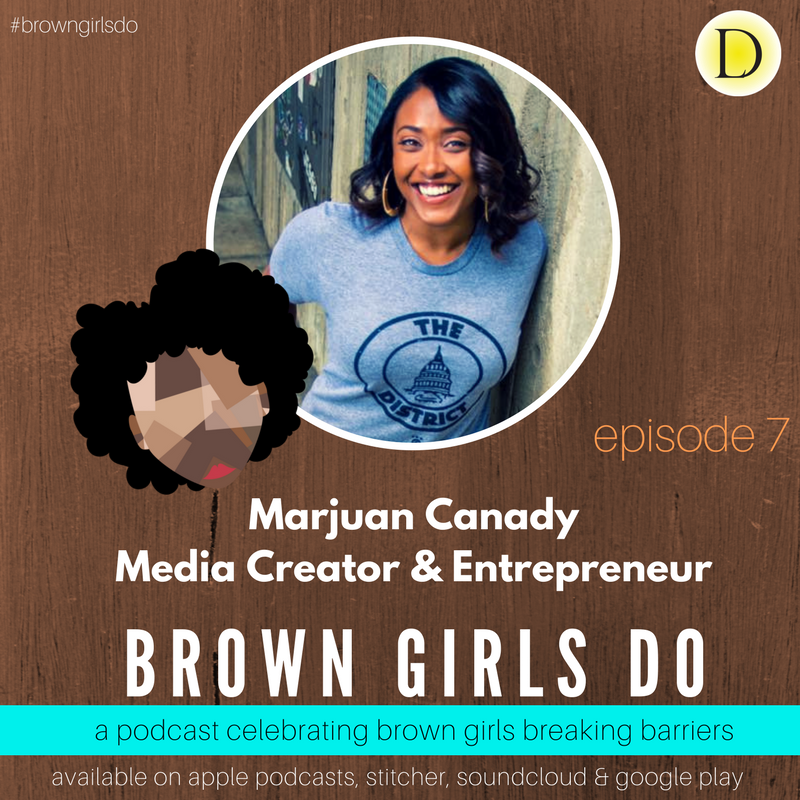 The proud DC native, Marjuan tells us how she has leaned into her creativity to develop content that is timely and culturally relevant for a variety of audiences through books, stage and film. This episode also marks a powerful milestone for Amber (she got inked!) and a new Lemondrop Media podcast launch. Listen for the deets! You can see Amber's tattoo here. This episode is brought to you by Sudio. Get 15% off a pair of Sudio earphones by going to this link https://goo.gl/kWqj54 and using the code BROWNGIRLSDO.